This edition of “What’s Cooking,” brings a hearty new recipe to help fend off cold weather the winter season brings to the northern hemisphere. With this easy recipe, you simply toss ingredients into a slow cooker in the morning and go about your day. Maybe you'll leave home for a few hours. When you return, your house will greet you with a savory aroma! 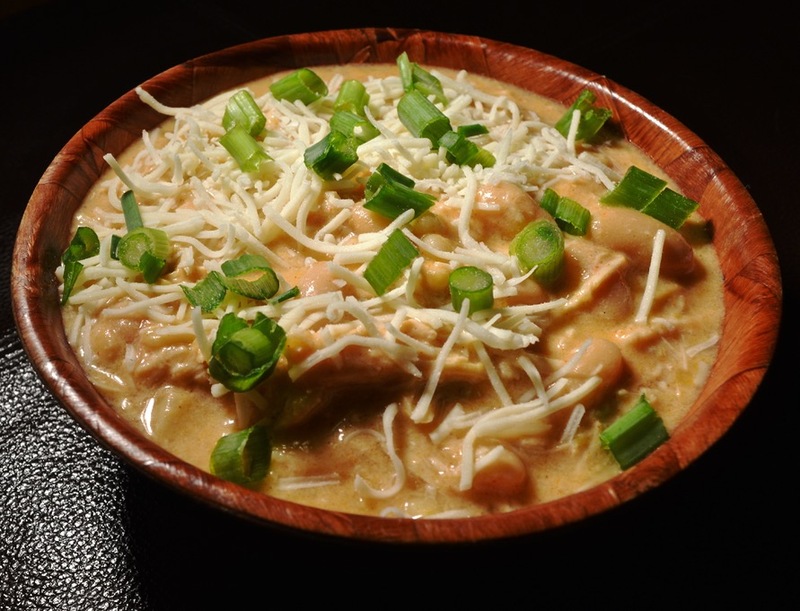 This White Chicken Chili is sure to satisfy your tummy as it warms your insides. The next edition of "What's Cooking" will celebrate the 20th anniversary of the launch of Nana's Recipes on the web. Wow, what a milestone! Many of our visitors have "liked" us on Facebook. Thank you! We now have just over 480 Facebook "likes." We would love to have more! Please drop by our Facebook page and "like" Nana's Recipes. We now have a total of 282 recipes on the site. The Recipe Index alphabetically lists all recipes for easy access. The cost of keeping Nana's Recipes on the web continues to increase. Your donation will help offset the expenses associated with this free website. Please click on the "PayPal Donate" button below to help support Nana. We thank you!